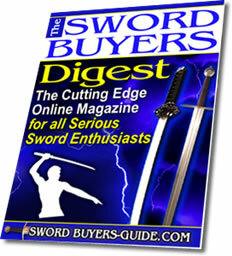 Kris Cutlery Swords is a knife and sword importing company whose sell their own line of imported blades. The company started in April of 1984 under “Cecil Quirino Imports” and at that point in time it was only selling butterfly knives. The name was eventually changed to Kris Cutlery. Other knives were introduced and swords followed at a later date. 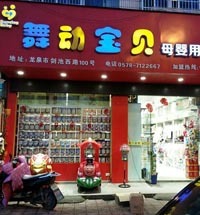 They offer Japanese, Chinese, European and some Filipino weapons. Most of their swords are well tempered, with most of the single-edged swords being differentially tempered. Prices can range anywhere from around $200 for their lower end to $700 for their most expensive model. Kris Cutlery is unique in that, not only does it offer a number of Japanese Katana/Wakazashi/Tantos and even Yari/Naginata blades for reasonable prices, but it also sells all the fittings necessary to completely build a katana of your own. 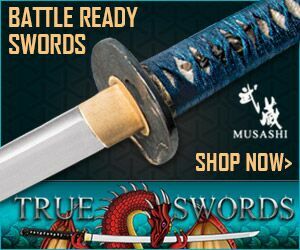 This includes meguki, tsuba, seppa, functional blades and more for quite reasonable prices. 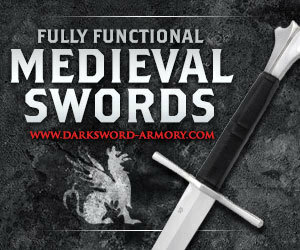 The swords/blades themselves run from $285 – $700. 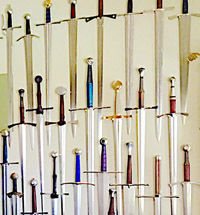 They offer a number of Butterfly swords, Dao, Jian and Gim swords in their Chinese section. Some are blunted for practice use, and this is clearly stated in their description. These prices run from about $100 to $265. The Philippines are a source of many unique bladed and non-bladed weapons. 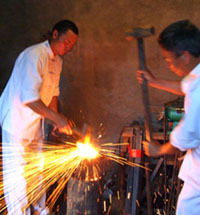 Few modern forges attempt to make them, however, which makes Kris Cutlery stand fairly alone in this area. This line includes traditional weapons such as Kampilan, Pinuti, Espada y Daga, and many more worth looking at. These prices range from about $125 to $225. Kris Cutlery’s reputation is for swords that are a bit on the unattractive side. 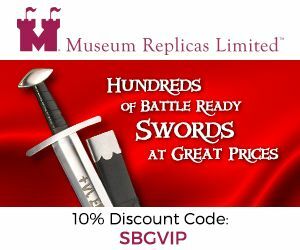 The general consensus seems to be that the swords are slightly less than what you would expect for the price, with non-traditional fittings. 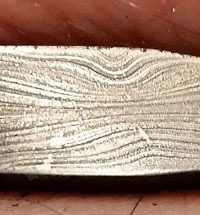 There are typically some complaints about the finish of the blade as well. Reports on their durability are mixed. 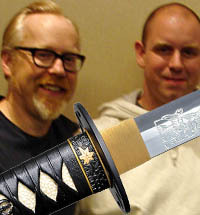 Some people, most notably on the Sword Forum International, swear by them as being extremely tough. 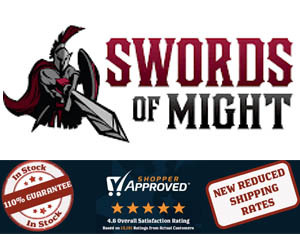 However, there are also reports that they are a little on the soft side (a common complaint with Phillipino made swords in this price range) – such as the image of their Celtic sword taking a set after a failed cut a water filled plastic bottle. Most of this stems from early growing pains from a change from their Filipino supplier to a Chinese one, and these days there is a distinct split between the earlier, much acclaimed Filipino made swords and the current Chinese made models, which are still good quality for the price overall, but in general do not compare with the Filipino ones. As such, Kris Cutlery seems to be a middle-of-the-road choice; you could likely do better for the price, but you could do a lot worse as well. 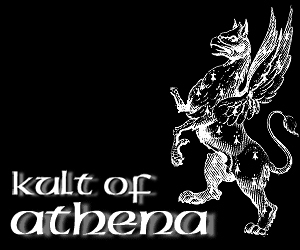 Other than direct from the manufacturer, the only other stockist is HERE at Kult of Athena - though their prices are actually typically 25% LESS than the manufacturer and clearly state if they are in stock or not, which the manufacturer does not, so while their range is limited, they may be a better choice..